In the highly sought after area "Zandberg" in Breda South, on the third floor located attractive and light penthouse with roof terrace of 55 M2 overlooking the Wilhelminapark. 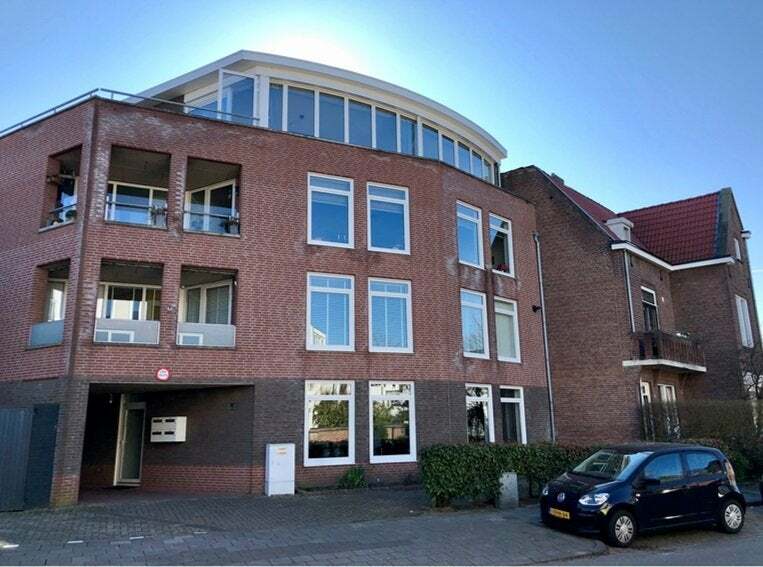 The penthouse is situated near the Burgundian center of Breda and a short distance from the Ginnekenmarkt and Mastbos. The direct roads are also in the immediate vicinity. Central hall, doorbells, private elevator access to your own penthouse, also via stairs access to the floors. Via elevator you enter your own hall. Hall with access to all bedrooms, toilet, bathroom and living / dining room. Bedroom 2 (approx. 20 m 2) located at the front of the apartment with carpeted floors and access to the roof terrace through sliding doors. Bathroom (approx. 2.06 m by 2.31 m) with a washbasin, shower with mixer tap and duo bath and anthracite tiled floor. Heating costs: € 120.00 per month.